While consulting with Syd Kitson of Kitson Development at the beginning of Babcock Ranch, former Florida Gov. Jeb Bush, a charter education advocate who sits on the Babcock Ranch Advisory Board, insisted on the best say to start a town: first, build a school. Babcock Neighborhood School while under construction a few blocks away from the town square. Courtesy Babcock Ranch. No one can argue with the success of that plan. The first Babcock Neighborhood School, which opened last fall, was filled before it opened, and even before the first home in Babcock Ranch, which straddles the Lee-Charlotte county line, was occupied. Kitson immediately decided to build a larger replacement school with a catch: It had to be ready before the 2018-19 school year. 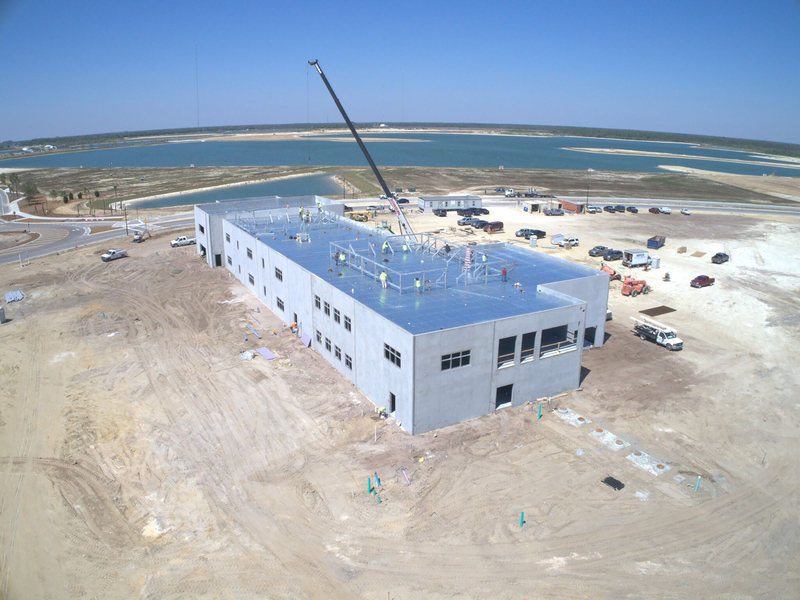 • Challenge: In order to get the job started as soon as possible, DeAngelis Diamond worked with the MEP (mechanical, electrical, plumbing) subcontractors to help with design because of the compressed schedule. Not only is the building itself cool, but it was constructed on a crisp schedule. 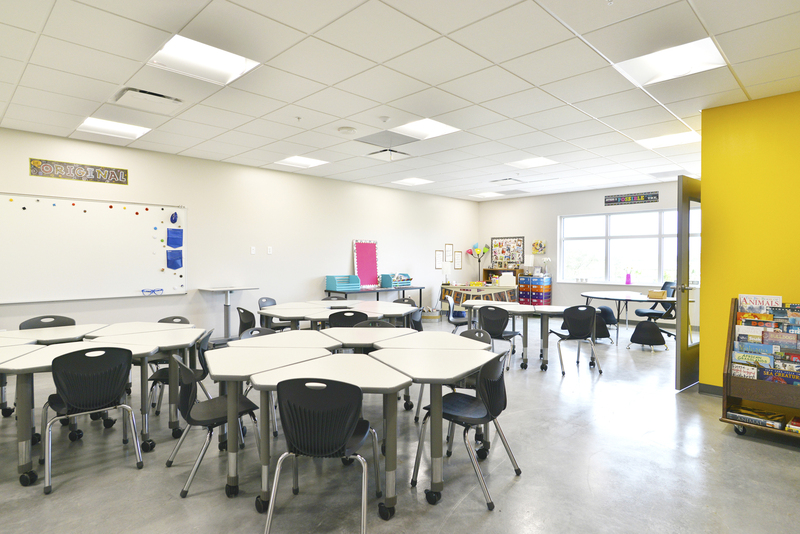 Facing a seven-month timeline from groundbreaking to certificate of occupancy, Naples-based contractor DeAngelis Diamond embraced the design-build project, which recently welcomed students in grades K-7. A previous design for the project was completed by another firm, but the client noted it was not conducive for its vision for interaction between multiple classrooms, and that the number of classrooms needed was not supported. To expedite the new design process, DeAngelis Diamond identified the mechanical, electrical and plumbing subcontractors to assist engineers. They were essential in designing systems that were practical and within budget, sasy DeAngelis Diamond project manager Derrick Wilhoite, constantly checking with their vendors and suppliers to determine what they could procure in a timely manner. The early-stage work was essentially design-build, requiring the help of the subs to complete the project on schedule. Movable desks to create a variety of work spaces in the classrooms at Babcock Neighborhood School. Courtesy DeAngelis Diamond. The 48,000-square-foot, sustainability designed school can accommodate 500 students in 25 classrooms in grades K-8, quadrupling the size of the original facility. It features flexible classrooms, work areas for project-based learning, moveable desks to facilitate collaboration and a large outdoor space complete with a playground, gardening space and half-court basketball. And like many Babcock Ranch buildings, it includes solar panels that contribute to the town’s sustainable energy design. DeAngelis Diamond built Babcock Neighborhood School in partnership with the Florida Green Building Coalition and meets Green Globes certification requirements to maximize sustainability.